Last week, I attended the 2018 Alberta Energy Efficiency Summit, hosted by the Alberta Energy Efficiency Alliance. The conference made it clear that Alberta is embracing energy efficiency in a big way, and expanding its efficiency industry. More than 300 people attended the conference, representing contractors, trade allies, product manufacturers and suppliers. 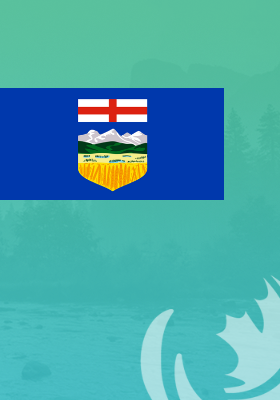 The flagship organization is Energy Efficiency Alberta, a provincial agency with a Calgary office located alongside major energy industry institutions, such as the Alberta Energy Regulator and the Calgary Petroleum Club. Energy Efficiency Alberta launched its first program a little over a year ago. About 12% of single family homes have registered for the Residential No-Charge Energy Savings Program. This broad participation demonstrates immediate benefits, and more programs are now in operation, including point-of-sale savings on efficient products; business, non-profit and institutional programs; a performance-based home improvement program; industrial efficiency initiatives; technical training; and a residential and commercial solar program. There is also now a bill before the provincial legislature to introduce Property Assessed Clean Energy (PACE), propelled by a grassroots campaign. This initiative lets building owners finance efficiency upgrades through repayments on regular property tax bills. It also ties repayments to the property rather than the owner, which eliminates the worry of not realizing the benefits of efficiency upgrades in the event of a property sale. Coupled with Energy Efficiency Alberta’s programs and expertise, this initiative will unlock deep energy savings. Energy Efficiency Alberta is principally funded through Alberta’s carbon levy. The creation of Energy Efficiency Alberta also created an organization ready to take advantage of federal climate funding. By participating in programs, Albertans can see a net financial benefit from the carbon levy, as the bill savings offset the levy costs. The programs are also a way for Albertans to participate in the carbon market by effectively sellingtheir emission reduction potential to Energy Efficiency Alberta which helps meet provincial and federal GHG reduction goals. The agency is accountable and evidence-based. Energy Efficiency Alberta’s CEO, Monica Curtis, announced that all programs will be independently evaluated and verified. The agency is also undertaking an efficiency potential study to inform future programs and demonstrate the size of the province’s efficiency resource. In many ways, Alberta is leading the way on creating a low-carbon transition organization that uses carbon pricing revenues to further climate policy objectives and ensuring efficiency and renewable energy complement one another. To truly exploit the potential of the energy efficiency resource and keep Alberta energy bills affordable the province could build from its climate oriented initiatives by also recognizing the benefits that efficiency delivers as an electricity and natural gas system resource. Throughout North America, jurisdictions recognize efficiency as a cost-effective alternative to power plants, transmission lines, and fuel costs. Alberta has deregulated electricity and natural gas markets, governed by the principle that competition should deliver the lowest cost and highest value energy services. To truly deliver on this objective, Alberta could let efficiency compete as an alternative to energy supply. When efficiency is allowed to compete on cost and value, it usually wins. Energy policy wonks will remember the amazement expressed when Alberta recently procured renewable energy at a price of 3.7 cents/kwh. This price represents the cheapest contracts for renewables in Canada, delivering clear benefits to all Alberta electricity consumers as the province phases out its coal fired power plants. If you think that was an amazingly low price, consider that it usually only costs 3 cents to save a kilowatt-hour through efficiency programs. Thus, efficiency is another low-cost clean energy resource that Alberta can exploit. Efficiency can further optimize Albertan markets. Consider that transmission and distribution is one area where natural monopolies still dominate, and that the customer charges for building this infrastructure has been increasing in Alberta. Yet, efficiency is one way to introduce some much needed competition. This is because energy savings reduce the need for new transmission and distribution, by reducing demand overall or even targeting energy savings in certain geographic locations. Alberta is now also planning to create a capacity market. This new market will introduce another competitive bidding system for electricity providers to be available to ramp up to stabilize the electricity system. The market could support fast acting generation sources, like natural gas. Yet, this is a market where efficiency can compete because it is possible for certain types of energy demand such as hot water tanks, building heating and cooling systems, swimming pools, and industrial loads to reduce energy consumption when the electricity system is constrained and charge during low demand periods. By letting efficiency compete in the capacity market, large and small customers can get paid by offering flexible demand services. Everyone benefits because capacity will be guaranteed at a much lower cost than building power plants that might never actually be used. The province is creating a capacity market to ensure reliability as the province shifts from coal towards renewables, and to reduce volatile price swings. Efficiency is an ideal resource to meet these policy objectives. It is available 100% of time because it does not experience periodic outages like power plants and does not produce GHG emissions, like natural gas. It can also increase the value of renewables by shifting demand to times when the sun is shining and the wind is blowing. To summarize, a new energy efficient economy is being created in Alberta, tapping into the province’s entrepreneurial spirit. Alberta is ahead of the game on providing efficiency services to meet climate policy objectives. The true value of the efficiency resource is perhaps just starting to be realized. There is likely significant untapped potential that could be exploited if efficiency is allowed to compete in the incoming capacity market and if energy regulators are mandated to prioritize efficiency when it is cheaper than new energy infrastructure and other supply costs. By letting efficiency compete, energy markets can truly deliver the lowest cost and highest value services for customers. Alberta could realize both the carbon reduction and utility system benefits of energy efficiency and allow Albertan consumers to participate in both the carbon market and the more traditional energy markets.